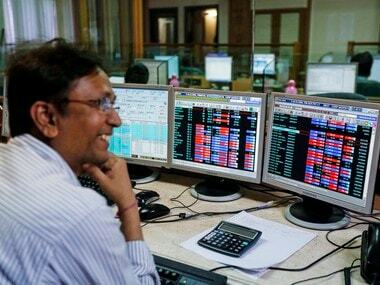 Mumbai: Stocks saw a positive start early session, only to reverse the trend later as the Sensex fell about 144 points to end at an over 3-month low, unnerved by muted start to second quarterly earnings and a lacklustre global trend. The numbers from both TCS and Infosys fell short of the crease as investors did not seem impressed. What clouded sentiment further was US Fed chief Janet Yellen's commentary on the US economy, indicating the need for aggressive steps to reboot it. The effect was immediate as indices globally started turning weak. Shares of state-run oil retailers such as Bharat Petroleum, Indian Oil and Hindustan Petroleum fell after rising over 1 percent each in early deals due to a hike in petrol and diesel prices. Investors are betting on a hike in interest rates by the US Fed before the end of this year, brokers said, adding that profit-booking only hastened the fall. 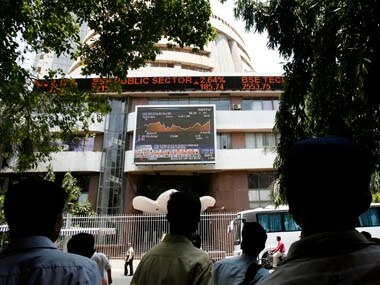 The BSE index ended lower by 143.63 points, or 0.52 percent, at 27,529.97, its lowest close since 8 July. The gauge had edged up 30 points in the last session on Friday. "Nervous global markets following Fed chair's comments last Friday, and sustained selling by FIIs seen all through last week look to have pricked sentiment, sparking long liquidation," said Anand James, Chief Market Strategist, Geojit BNP Paribas Financial Services. Barring banking, all sectors ended lower with auto, capital goods and realty closing down by up to 2.12 percent. The NSE Nifty closed lower by 63 points, or 0.73 percent, at 8,520.40. Intra-day, it shuttled between 8,615.40 and 8,506.15. 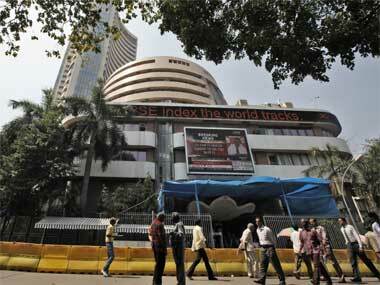 As many as 24 stocks in the Sensex group fell and only six rose. M&M was battered the most as it plunged by 3.22 per cent, followed by Hero MotoCorp (2.24 percent), Asian Paints (2.07 percent), HDFC Bank (1.87 percent), Bajaj auto (1.80 percent), L&T (1.71 percent) and RIL (1.67 percent). Banking shaped up well as concerns about bad loans eased after Russian Rosneft-led group took over private oil firm Essar Oil in an all-cash deal valued at about $13 billion. ICICI Bank surged the most since March, climbing 6.91 percent. SBI too ended higher by 0.48 percent. BSE auto suffered the most by falling 2.12 percent followed by capital goods (1.47 percent), realty (1.19 percent) and metal (1.19 percent). Broader markets put up a similar show, with the mid-cap index falling 0.95 percent and small-cap dropping 0.52 percent. Foreign portfolio investors (FPIs) sold shares worth a net Rs 946.42 crore on Friday, showed provisional data. Regional markets were mostly lower with China's Shanghai Composite falling 0.47 percent and Hong Kong's Hang Seng 0.82 percent. Japan's Nikkei rose 0.26 percent. Europe was in the grip of weakness as investors remained cautious ahead of earnings amid speculation about ECB policy as concern resurfaced about the health of the global economy. London's FTSE declined 0.78 percent, Paris CAC 30 0.55 percent and Frankfurt's DAX 0.54 percent in their early session. "Selling continues as investors are waiting for more cues on earnings growth and guidance. The market is nearing the support level of 8500 and is likely to be volatile due to the weakness in global market ahead of ECB meet this week," said Vinod Nair, Head of Research, Geojit BNP Paribas Financial Services. The market breadth turned negative as 1,377 stocks ended in the red, 1,330 closed in the green while 159 ruled steady. The total turnover on BSE stood at Rs 3,884.29 crore, higher than Rs 3,423.38 crore registered during the previous trading session.